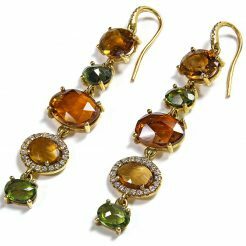 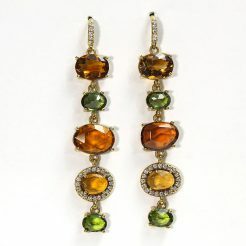 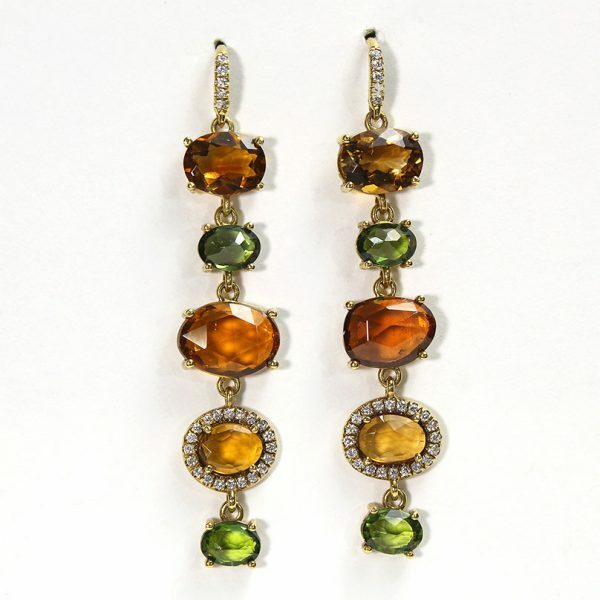 A refreshing arrangement of Orange and Green Tourmaline set in 18kt Yellow Gold. 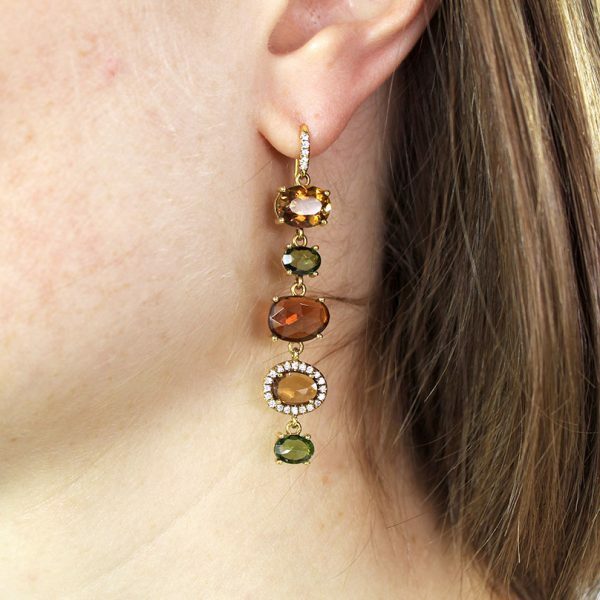 Each Tourmaline is surrounded by a gorgeous halo of Diamonds that are of excellent quality. 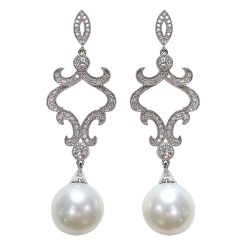 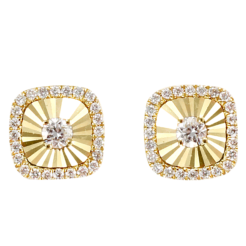 These earrings are incredibly fashionable with a highly unique look.